Julie Bird is distracted from a blonde stranger gesticulating from the shore when a whale appears, headed for the beach. Soon, it becomes clear that the big blue wants to beach itself, and Julie pictures “herself on her knees at the bottom, an air traffic—water traffic—controller, waving an orange flag.” But the whale succeeds, and Julie’s day on the water is ruined, even before a bald eagle and two ravens dive headfirst into the rocks nearby. 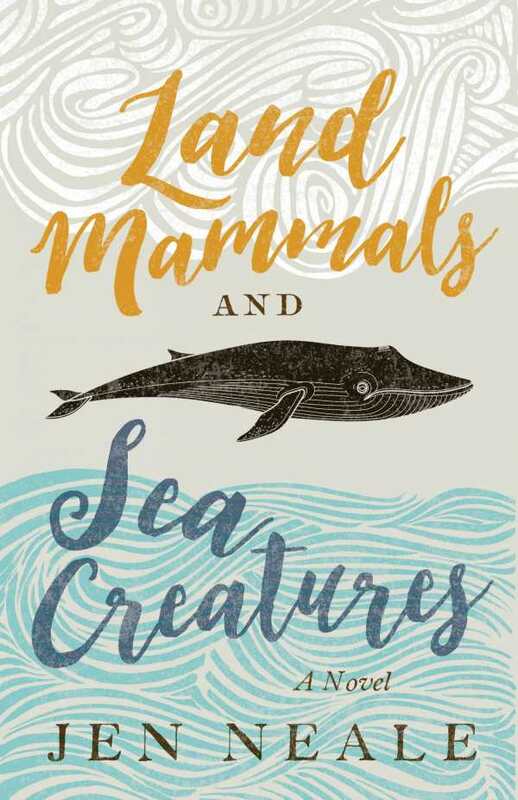 In Jen Neale’s Land Mammals and Sea Creatures, this is where the past has come to die. Julie moved back to Port Braid, Vancouver, to deal with her ailing father, Marty. He’s sick, but that’s nothing new. He’s been sick all her life—whether from grief at the loss of her mother or with PTSD from the Gulf War. But something’s different this time. He’s letting go of his habitual routines and stolid silence to host live music and tell Julie stories about his old dog, Midge. Julie suspects the rotting whale carcass, the stranger from the beach—anything to deflect from what Marty is headed toward. Half shaman, half catalyst, the blonde stranger bridges the past and present, provoking Marty into telling stories about his past that reveal and obscure in equal measure. Though they’ve long been united by their relationship’s steady dysfunction, these revelations propel the Birds in different directions: while Julie struggles to accept her limits, Marty finally allows himself to connect to what he’s long tried to forget. Land Mammals and Sea Creatures’s magical realism is dark and apocryphal. On this journey through the valley of the shadow of death, the only clear signal is distress. As Julie, Marty, and the mysterious stranger traverse illuminating fictions and inexplicable animal suicides, Neale never lets you forget that humans are animals too.